COIMBATORE:The increasing man-animal conflicts in Nilgiris district in the last couple of months is a cause of concern. 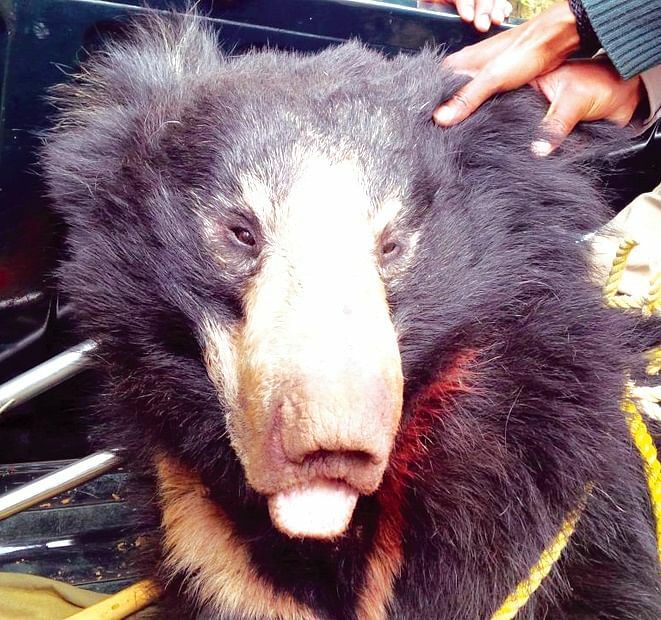 According to sources, a bear killed two persons and injured three others including two forest staff in the Nilgiris north division in the last two days. In the second week of February, paying heed to complaints from locals about wild animal movement in residential areas, forest department officials swung into action and captured a leopard near Kodanad estate. The animal was later released into the Avalanchi forest. “We fear to step out of our houses after darkness, as there are high chances that a wild animal hiding in the tea bushes could attack us any time,” said A George, Ward Councillor of Thanthanadu village, in Kotagiri. “Earlier, we saw one or two wild animals near our area. But, wild animal population would have increased in the last two years, given the number of such animal sightings near our houses. Not only bears, we are seeing groups of bisons, porcupines, wild pigs, and sometimes even leopard near our houses,” he added. “She was fetching water near our house when a bear ran furiously towards her. However, she ran away and entered the house and locked the door immediately. Following her screams, locals chased away the animal,” said Karunanidhi. K Soundarapandian, District Forest Officer, Nilgiris (North), confirmed that increase in the wild animal population is also one of the factors for man-animal conflicts. He advised that the public should keep a fire torch or a torch light to prevent untoward incidents. “There is a chance that a rise in tiger population could have forced the leopard go in search of alternate places for survival, resulting in the animal entering human settlement. The animal may also enter human habitations to catch easy prey like stray dogs and cattle,” said the DFO. “Wild animal attacks against humans is happening only in places other than non-tribal settlements. So far, there is no attack against tribal people,” he said. Wildlife activists have pointed out that the increase in animal population and linear intrusions are the major factors attributed to a rise in man-animal conflicts in Udhagamandalam. N Mohanraj, wildlife activist and environmentalist, told Express that beside wildlife habitat in the hill areas that was converted into patta lands during the British rule, the current linear intrusions like road projects, erecting of power lines and construction of canals, are still progressing rapidly. “As a result, forest areas are chopped into segments which diverted the regular routes of wild animals. Development works every day in the hill areas, has put enormous pressure on the animals, and there is no other choice for the wild animals but to enter residential areas,” said Mohanraj. He also said that food source for wild animals is also low in the forests, which has also added to the increase in man-animal conflict. Jayachandran, Joint Secretary, Tamil Nadu Green Movement, opined that the increase in man-animal conflict is a result of the rise in the population of wild animals. “There is less forest habitat for wild animal survival, and as a result, they enter residential areas leading to man-animal conflict,” he said. The elephant-man conflict is on the rise in Gudalur division. Recently, a 72-year-old man was killed in a wild elephant when he went out of his house to attend nature’s call. WWF D Boominathan landscape coordinator, said, “They are working out a strategy with the forest department with public participation, to deal with elephants entering human habitations in Gudalur. “We are also studying the prospects of electric proof trenches (EPT) or solar powered fencing, wherever suitable. We will execute the same only after consulting the local public,” he said. Mohanraj wanted the Union Government to conduct a study involving scientists in Tamil Nadu, Kerala and Karnataka, as elephants keep moving in these three States seasonally.